• The prices are for private driving tour with driver only (admission tickets and guide are not included). 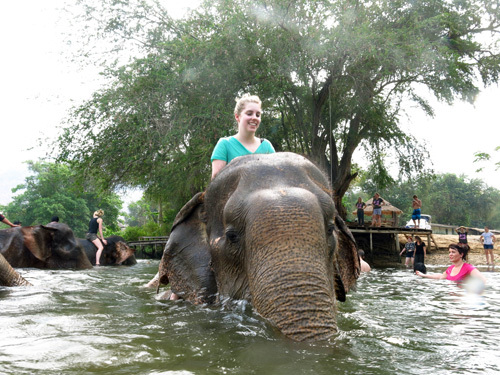 • Elephant’s World 1 Day Program price is 2,500 Baht for adult and 1,500 for child 4-12 years. Please bring sunscreen, hat, mosquito repellent and a change of clothes (you will get dirty/wet). Women are asked to swim in shirt and shorts in order to respect the Thai culture. Yellow bananas are also good for making friends there! • Meet and feed the elephants. • Observe the elephants bathing. • Gathering / planting food for the elephants. e.g banana trees / sugarcane / banana grass or prepare fruit baskets for the afternoon. • Feed sticky rice balls to the old elephants. 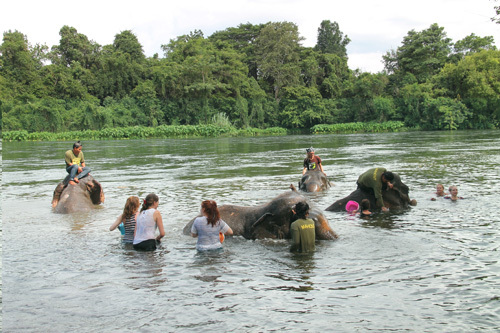 • Take the elephants to the river for a bath / scrub them clean. • Feed the elephants fruit and vegetables. The list should give you the idea, although activities can vary a bit, depending on factors such as the needs of the elephants or the weather. Please note that Elephant’s World don’t do elephant riding. If that’s what you wish to do please look up our other programs such as Kanchanaburi tour 3 or tour 5. 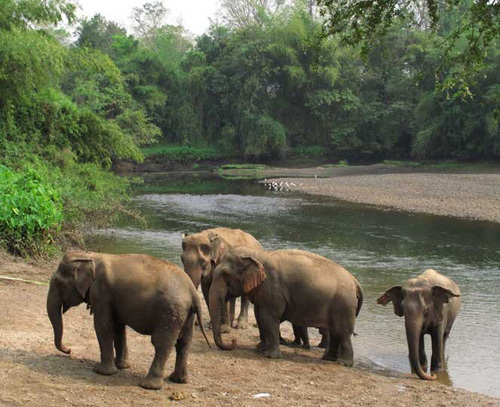 We can take you directly from Bangkok (or Hua Hin) to Elephant’s World to take part in this Day Program. From Pattaya is a bit far so you will be better off with overnight program.